Murphy has been with Sacramento State’s College of Continuing Education for 17 years, including two stints as interim dean. She now takes that post permanently and says she is ready to cement the college’s reputation as a leader in workforce development and Sacramento’s home for lifelong learning. “Extended education is a huge part of my professional being, so to have worked across our organization, across the California State University system, across our campus, and now be in a position to take this work to the next level, is very exciting,” says Murphy, who had served as interim dean and who received her doctorate in educational leadership from Sacramento State in 2012. Her appointment was effective June 1. The College of Continuing Education serves working adults and other nontraditional students through degree completion and professional certificate programs. The college also offers conference and training services to regional employers and administers Summer Session courses to help Sacramento State’s traditional students earn additional credit and graduate on time. Before serving as interim dean from March through July 2016 and from January until her permanent appointment, Murphy also worked in the college as associate dean, senior director of strategic communications and emerging markets, special assistant to the dean, and senior program manager. She earned her bachelor’s degree in communication from Arizona State University and her master’s in business administration from the University of Phoenix. As the college’s first director of extension programs from 2004 to 2009, Murphy established its customized training unit, partnering with employers to develop programs that fit their workforce needs. 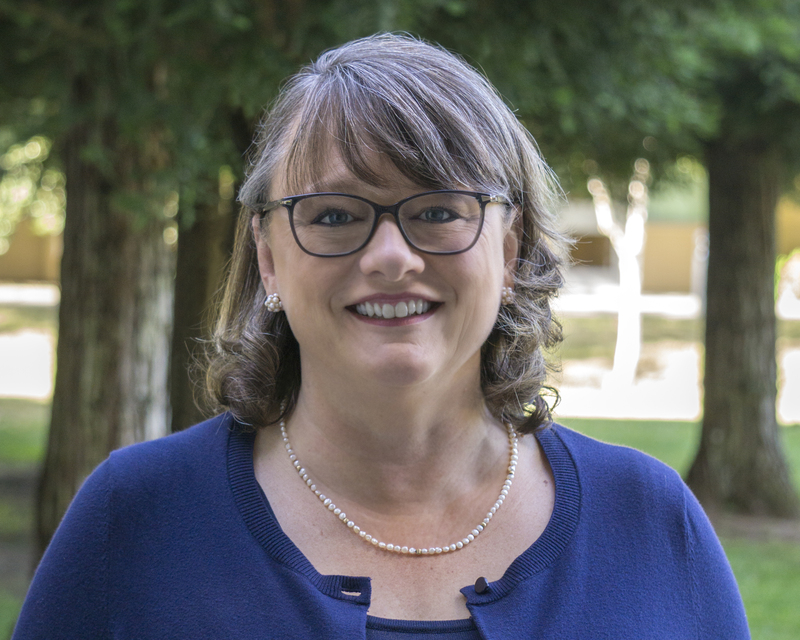 Fittingly, given Sacramento State’s location in the state capital, under her leadership the college has become the state government’s training provider of choice. Murphy’s priority as dean will be, through the college, to raise Sacramento State’s profile among individuals, such as working adults who may not see themselves as college students, and let them know that the University is a place for them if they want to continue their education. A key part of that effort will be closing the “educational attainment gap” by helping people who have some college education but no degree cross the finish line to graduation. That will be done through degree completion such as the new Bachelor of Arts in Arts & Letters. Sacramento State, Murphy says, will lead an initiative to raise the Sacramento region’s educational attainment rate – the percentage of residents who have a college degree or certificate – to 60 percent by 2025. In May, the college kicked off this effort by hosting a summit on educational attainment. There are multiple benefits to helping more people earn their degrees, she says. “Having a higher degree of educational attainment puts us at an advantage in terms of attracting businesses and employers to the region, as well as retaining businesses and employers,” Murphy says, adding that people with a bachelor’s degree generally earn about $1 million more in their lifetime, are healthier, and are more likely to send their children to college. In addition, she emphasized the importance of serving adult learners to reduce the degree gap and improve career mobility.